At Hillside, we believe that we must: depend on God for everything; be a loving community; be active and effective; express our devotion to Christ; have an accountable and encouraging leadership; learn from God’s work and reach out to our neighbours. Depend on God for everything. The church belongs to God. He is sovereign in all its affairs and is the source of blessing. Prayer should envelop all aspects of church life. The church is a ‘body’, which reaches its full potential when its members accept, value and love each other, despite different backgrounds. Each be active and effective. Each member is encouraged to deepen his/her relationship with God. Each member has been uniquely gifted by God to serve others in love. Express our devotion to Christ. By regularly and corporately worshipping God and remembering Christ by breaking bread. Have an accountable and encouraging leadership. The church should be led by those with leadership gifts who are accountable to God and who are committed to identifying and developing members’ gifts. Spirit-empowered teaching of the Word of God is essential for transforming individual lives and building up the church. Below is the Hillside Community Church Statement of Faith. It outlines our key doctrinal beliefs and is of vital importance. 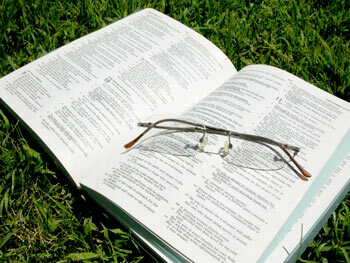 The Bible is the inspired Word of God and is infallible. Through it God speaks to us today. It is our only authority for what we believe and practise. There is only one God, revealed in the Bible as three persons, the Father, the Son and the Holy Spirit. These three are one God, co-eternal and co-equal. Man, created by God in his image and likeness and, therefore, unique among all God’s creation, sinned. As a result, all men are born with a sinful nature and, being guilty before God, are subject to God’s wrath and judgement. The Lord Jesus Christ, the Son of God, became man, being conceived of the Holy Spirit and born of the virgin Mary. He is both eternal God and a perfect sinless man. God is love and through the death of Jesus Christ on the cross, when he was punished by God for the sins of mankind, God has provided the way by which sinful people can be brought into a right relationship with Him. The death of the Lord Jesus Christ is the only sacrifice for sin and through it, there is freedom from the guilt and penalty of sin. On the third day after his crucifixion, the Lord Jesus Christ was raised bodily from the dead and, following appearances to many in his risen, glorified body, he ascended into heaven. The Lord Jesus Christ will return in person for those who have believed in him, both for those who have died and those who are alive, and together they will be with him for ever. Salvation is God’s free gift, given when a person repents and trusts in Jesus Christ. It cannot be earned and is not deserved. Because of God’s undeserved love and mercy, the person who trusts in Christ receives complete forgiveness of sins, becomes a child of God and receives eternal life, which can never be lost. At the final judgement, those who have not accepted God’s salvation will suffer eternal punishment. The Holy Spirit indwells each person at the moment they place their faith in Christ. His main role is to glorify the Lord Jesus Christ in the life of the believer, producing increasing likeness to Christ in character and behaviour. The Holy Spirit gives the power to resist sin and to witness to the world. He also gives believers spiritual gifts with which to build up the church. 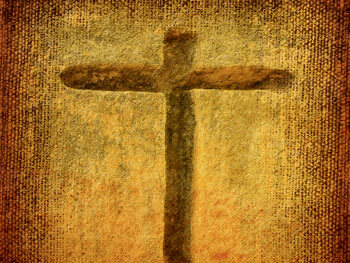 There is one universal Church – the body of Christ, of which Jesus is the head. At the moment of conversion, all believers are baptised in the Holy Spirit into this body. The local church is a representation of the universal Church on earth. God wishes all believers to live out their spiritual lives in a corporate context, demonstrating through their relationships the character of God and communicating the message of salvation for all. The Lord Jesus asked his disciples to baptise everyone who becomes a Christian (see Matthew 28:19). Therefore, we encourage every Christian to be baptised in obedience to our Lord’s request. We believe that the Bible teaches baptism by complete immersion in water (Acts 8:38; Romans 6:1-4). It is important to recognise that baptism is not essential for salvation, but is a symbolic event, identifying us with the Lord Jesus Christ’s death, burial and resurrection.It marks our obedience to Jesus Christ as Lord in our new lives. Hillside’s leadership are always happy to talk to those who are interested in being baptised, whether they are long-term attendees or more recent visitors to the church. The Lord Jesus also asked his disciples to remember him by taking bread and wine, as they had done at their last meal before his death. The bread and wine were to be symbols of his body and blood, and the disciples were instructed to ‘do this in remembrance of me’ until Jesus’ return (1st Corinthians 11:23-26; Acts 2:42). 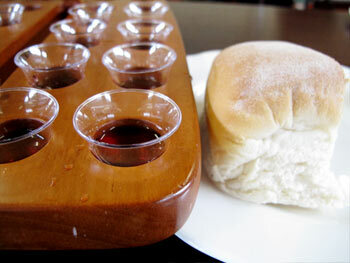 The first Christians appear to have practised this on a weekly basis together, and at Hillside we continue to do so, as an integral part of our Sunday morning service, by each taking a small piece of bread and some grape juice as they are passed around. Our Statement of Faith outlines what we believe to be central to our faith and is, therefore, non-negotiable. In terms of church practice, however, there are areas where Christians differ. We respect the views of other churches, but the following statements indicate where Hillside Community Church stands on some issues where Christians differ. We believe that, with regard to their personal value and their salvation, men and women are equal in the sight of God (Galatians 3:28), and that all alike are called to serve God in the fellowship of the church. With regard to eldership and public preaching, however, we are guided by several scriptures (1st Corinthians 14:34 & 35; 1st Timothy 2:11 & 12; 1st Timothy 3), which describe male roles. Women who have obvious leadership and teaching gifts are invited to use these gifts in the context of appropriate church ministries. However, our women do have the freedom to participate in church services through being part of the music team and by praying or sharing scripture aloud during our open worship times. We believe that the Holy Spirit has given spiritual gifts to all Christians, for the purpose of building up the body of Christ and bringing glory to God. These gifts are to be exercised in love and they emphasise the need for unity (1st Corinthians 12:4-31; Ephesians 4:11-16). 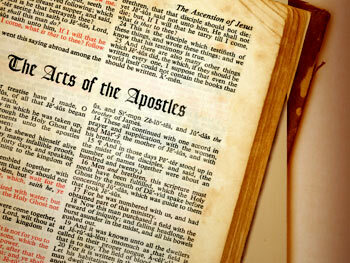 The apostle Paul exorts us to excel in gifts which build up the church (1st Corinthians 14:12). Where debatable gifts, such as speaking in tongues, are concerned, Hillside chooses to adopt a conservative approach in our public meetings, for the sake of unity and harmony. It is therefore not appropriate to use such gifts in our church meetings. The New Testament assumes that all Christians belong to a local church (Philippians 1:1). Being a member of a church is like being a vital organ in a living body (1st Corinthians 12:12-14), or being part of a loving family (Ephesians 2:19). The benefits of membership include: emotional, spiritual & practical support, discovery of gifts, being equipped for Christian service both inside and outside of the church, the protection of godly leaders and having a voice in decision-making. In order to function well, Hillside depends upon Christians who are, firstly, committed to the Lord, and secondly, to each other in love (2nd Corinthians 8:5; 1st John 3:16).This commitment is demonstrated in support for the leaders, regular attendance, becoming involved in particular aspects of church life, prayer and financial giving.